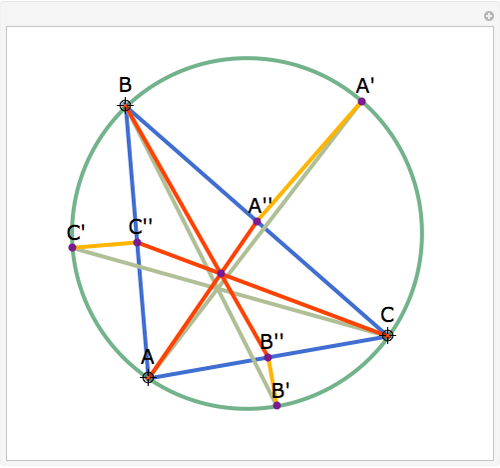 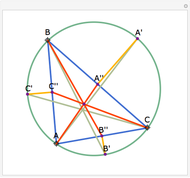 Extend the angle bisectors of the triangle ABC to meet its circumcircle at A', B' and C'. Let A'', B'', and C'' be the perpendicular projections of A', B', and C' onto BC, AC, and AB, respectively. 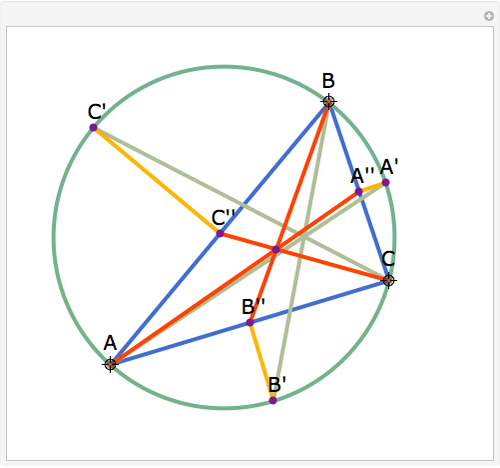 Then AA'', BB'', and CC'' are concurrent. 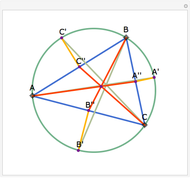 Jay Warendorff "A Concurrency Generated by the Angle Bisectors"